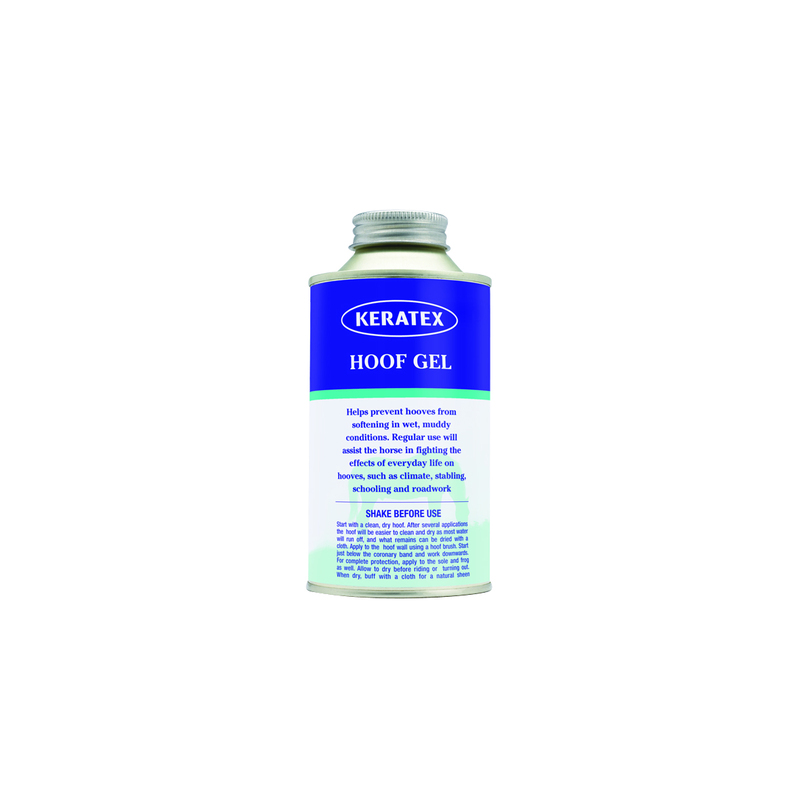 Keratex Hoof Gel is formulated to be used in wet weather, to give a waterpoof & defensive yet breathable layer to the hooves. It stops water from saturating the hooves, making them more prone to damage & infection. Keratex Hoof Gel should be applied every other day, all over the hooves, including the soles, frogs & heels. It can be beneficial to all horses, but it is particularly useful for those with hooves that: have softened due to wet conditions; are predisposed to abcesses, punctures & cavities in the sole & foot; suffer with sore heels in wet weather. All Keratex products are British designed & manufactured. Effol Hoof Oil is rapidly absorbed, gives the hoof a fantastic shine & repels dirt. After only a few applications, improvement will be noticed, as hooves become more elastic & therefore hardier. Effol Hoof Ointment nourishes hooves. Laurel & thymol have a antiseptic effect & help to prevent hoof disease, whilst Vaseline is water & dirt repellent, protecting the hoof. Available in 3 different colours: green, yellow & black. Keratex Hoof Hardener is scientifically proven in both shod & barefoot horses, to strengthen & protect hooves. It is recommended by both farriers & vets worldwide, as a leading hoofcare product. Keratex Hoof Putty is an invaluable product for repairing holes in your horse's hooves, eg. abcesses, punctures, hoof separation or white line disease. After plugging the cavity, the putty goes hard & stays in place for long periods, even in muddy fields. Keratex Hoof Moisturiser is an ideal product for any horse with brittle, dry, dehydrated hooves. It effectively restores the correct moisture levels to the hoof & then maintains them at the right level for optimal hoof condition & growth. Kevin Bacon's Original Hoof Dressing contains completely natural ingredients. It is beneficial all year round, providing moisture for dry hooves in summer & protecting hooves from becoming saturated with water in wet winters. Kevin Bacon's Liquid Hoof Dressing is beneficial all year round, providing moisture for dry hooves in summer & protecting hooves from becoming saturated with water in wet winters. It comes as an easy to apply liquid, with its own brush. Silverfeet Liquid contains all natural ingredients, including Silver. Silver is effective against most bacteria & fungi, helping to prevent & treat foot infections, such as thrush, white line disease & abcesses, as well as encouraging healthy horn growth. Silverfeet Hoof Balm contains all natural ingredients, including Silver. Silver is effective against most bacteria & fungi, helping to prevent & treat foot infections, such as thrush, white line disease & abcesses, as well as encouraging healthy horn growth. Hoof Biotine is a comprehensive nutritional supplement from Audevard, formulated to support healthy horn growth, as well as improving coat & hair quality.